The character of Ichigo Immediately reminded me of Great Teacher Onizuka (GTO) on initial appearances that is. Especially with him being shown beating-up a bunch of street gangsters. But you soon learn that he is a whole different kettle of fish! I must admit that I took somewhat of a gamble when deciding to buy the first issue. But what spurred me on to do so was Shonen Jumps impressive record whern it comes to the quality of it's manga. well I was not disappointed and immediately saw what all the fuss was about. The character mix is excellent, with there being the usual suspects. The air-head (orihime), the big tough guy who doesn't talk much (Chad. But what I soon fond was that they are all actually quite interesting as characters and not just there as padding for the core characters. What I find enduring about this series is the way Ichigo never gives up. 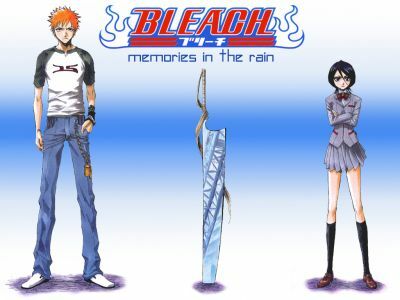 Most people seem to give up when the going gets tough in the real world, so maybe people reading this series will find Ichigo a role model of some-sorts. I also enjoy reading the quotes at the beginning of each issue. Most I get, while others leave me with a comical huh! expression on my face.